These Original Beans buttons have been long, long awaited here at Cocoa Runners. While we love the full size bars, these bitesize treats breathes fresh life into an already incredible chocolate. The shape of chocolate truly effects its taste, due to the changing way it melts in your mouth. So not only are these buttons ideal for baking, they allow you to experience one of Original Beans most popular bars in a completely different way. 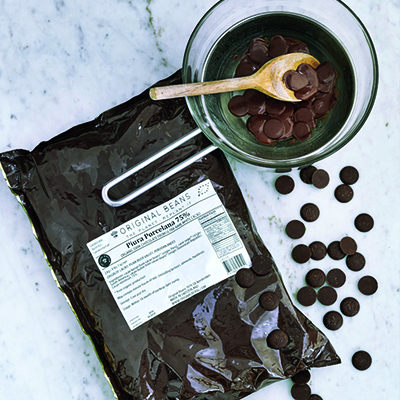 This chocolate is made from pure white “Porcelana” beans, recently rediscovered in the foothills of the Peruvian Andes. 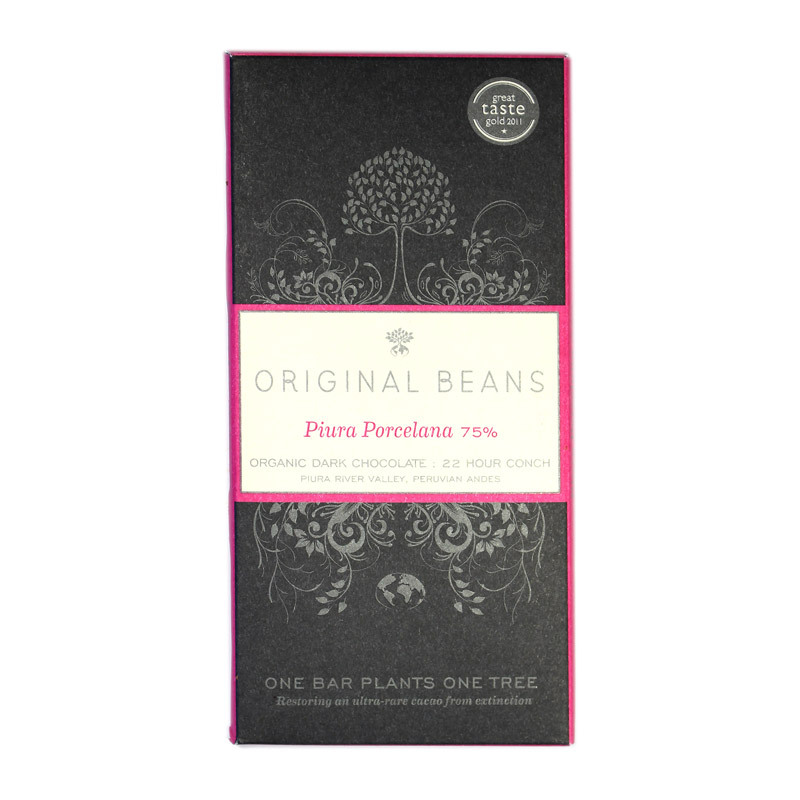 Original Beans collaborated with local farmers to bring it back into production and produce this vibrant, and intense 75% chocolate that melts slowly as bite-sized buttons to release roasted and fruity flavour notes.